Sitting roughly 500 feet above Hangman Creek, Overlook Park is a great place to relax and enjoy the view of hangman valley. 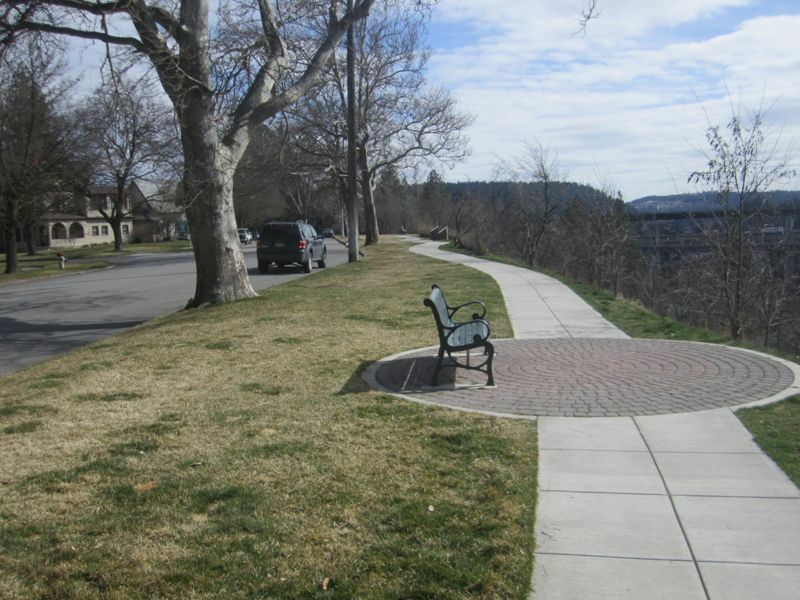 Overlook Park was conceived as part of the Browne's Addition Neighborhood Re-vitalization in the 1980s and 1990s as a way to use the empty lots along Coeur d'Alene Street to better serve the community. The park has two benches and serves as a trailhead, which traverses the valley wall to terminate at Hangman Creek. The trail is well groomed and leads to another trail that parallels the creek. 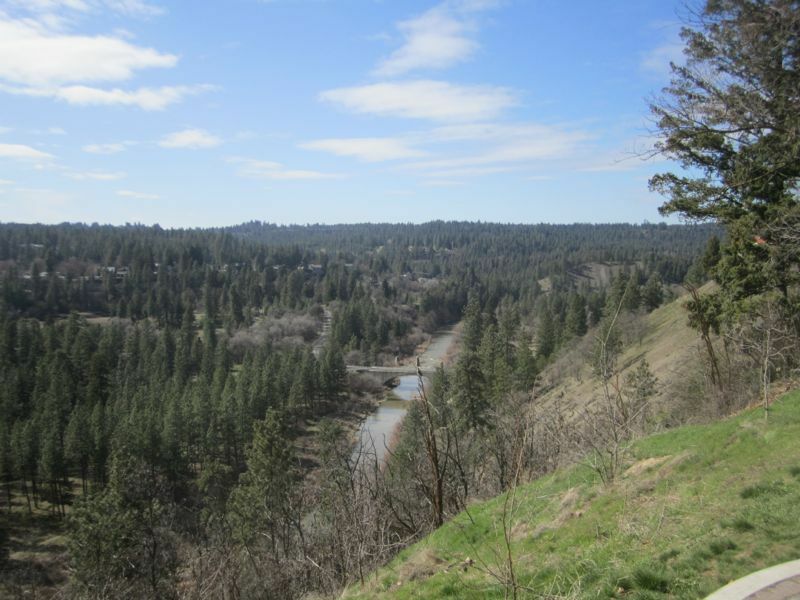 As you look out across Hangman Valley, across the valley on the right hand side or North you will notice the beautiful forests and homes in the inland northwest. Directly across the valley lies High Bridge Park. High Bridge Park is located along Hangman Creek and contains public meeting, grassy areas complete with BBQs. The park also contains a well used disc golf course, which is open to the public. 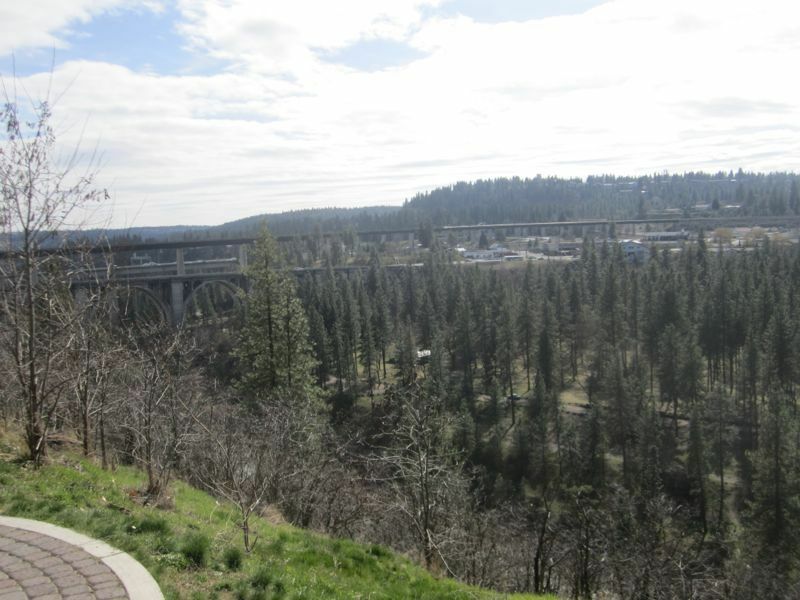 In the South West corner of High Bridge park is an expansive off leash Dog Park where Spokane's dog lovers can take their dogs to run and play together. Please be sure to watch over and pick up after your dog while in the Dog Park. If you look to the South, you will see many different bridges carrying people to and from the great city of Spokane. The hill leaving Spokane, in front of you, has been called 'Sunset Hill' for generations. 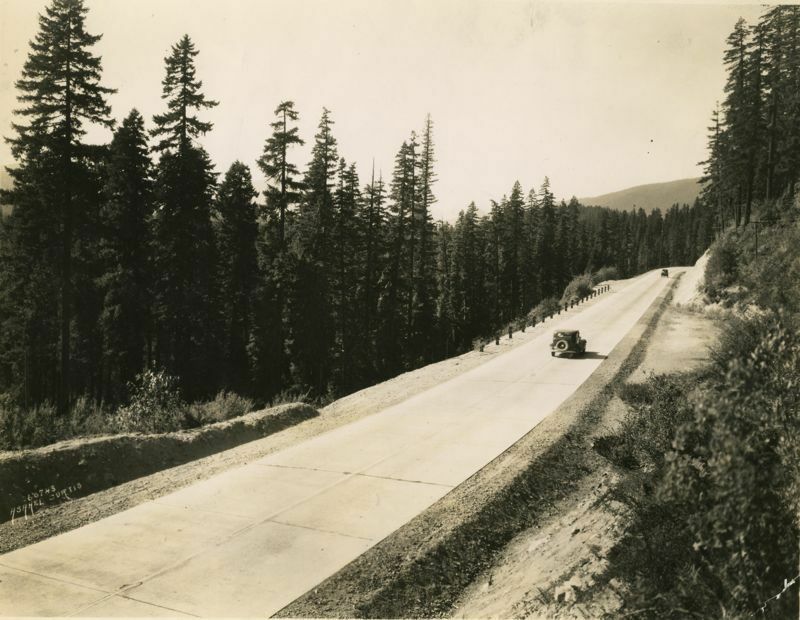 Before Interstate 90 shouldered the responsibility of transporting individual motorists across the state, the Sunset Highway was developed. The Sunset Highway, U.S. Route 10, went from Seattle to Detroit. In Washington this route traversed the state from the Idaho border through Spokane and to Seattle. As motorists left Spokane they drove through many small towns including: Wilbur, Almira, Hartline, Orando and Wenatchee among others. The highway travels over Blewett Pass and Snoqualmie Pass before getting to Fall City where motorists continued onto Seattle. This highway was replaced by I-90, which first came to Washington in 1968 and was constructed in sections. Today the Sunset Highway survives as WA Route 2, which takes a slightly different route than U.S. Route 10, going over Stevens Pass rather than Snoqualmie Pass, but is still used by motorists who believe it is not the destination, but the journey that is important. In 1855 the Yakima chiefs warned Colonel George Wright of the U.S. Army and other white men to stay out of Yakima territory or face death. Owhi and his son Qualchan had been enforcing these consequences from 1855 to 1858 when on September 23rd, 1858 Owhi was called to meet with Colonel George Wright at Camas Prairie Creek. Upon arrival, Owhi was seized and bound in irons. Owhi's son, Qualchan was staying outside of camp. Qualchan had been implicated in the murder of the Indian agent, Bolen and had "been most determined in hostility." On the same day that Owhi was detained the Army was able to get the location of Qualchan from him. 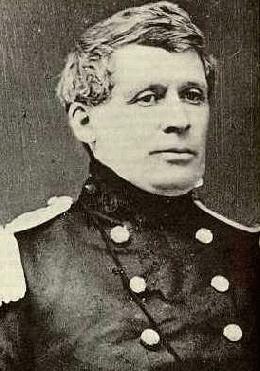 Colonel Wright sent a message to Qualchan if he didn't surrender to the camp, Owhi would be killed. On September 24th, 1858 Qualchan traveled into camp. On his way into camp he missed a party of his tribesmen who were riding out to warn him of the impending danger awaiting him at the camp. Upon arrival at camp Qualchan was sent to Colonel Wright's quarters. After Wright confirmed Qualchan's identity he signed an order to have him killed. 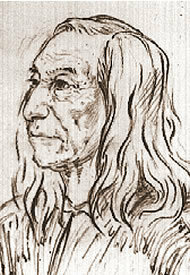 Once the soldiers began to march Qualchan to his death, Qualchan attacked the camp in an attempt to escape. To Qualchan escape without Owhi was unacceptable. As Qualchan was cutting Owhi loose from his bonds a rope was thrown over his head. Qualchan was then dragged to a small tree and hanged. Colonel George Wright recorded their meeting: "Qualchan came to see me at 9 o'clock, and at 9:15 he was hung." Voice Courtesy of Zachary Wnek. Zachary Wnek, “Overlook Park,” Spokane Historical, accessed April 20, 2019, https://spokanehistorical.org/items/show/316. 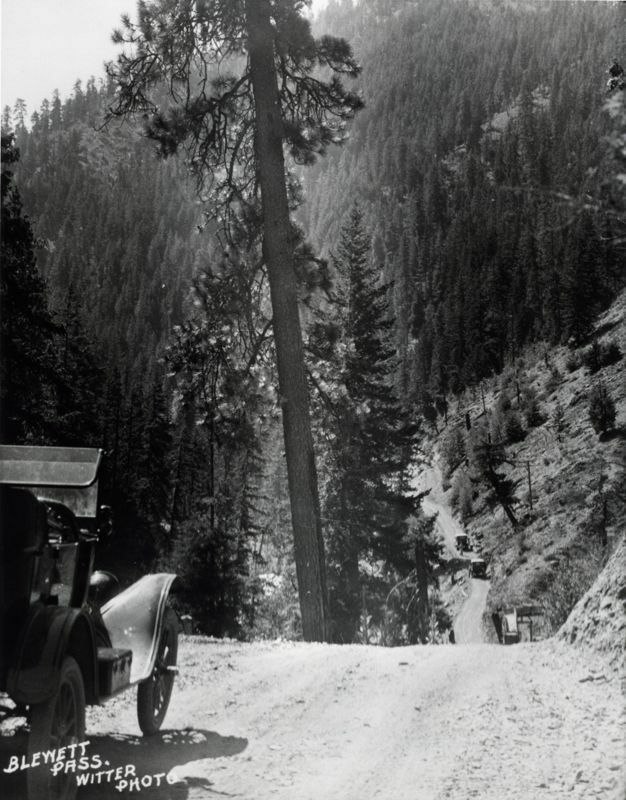 Blewett Pass, 1920, State Library Photograph Collection, 1851-1990, Washington State Archives, Digital Archives, http://www.digitalarchives.wa.gov, April 18, 2013. 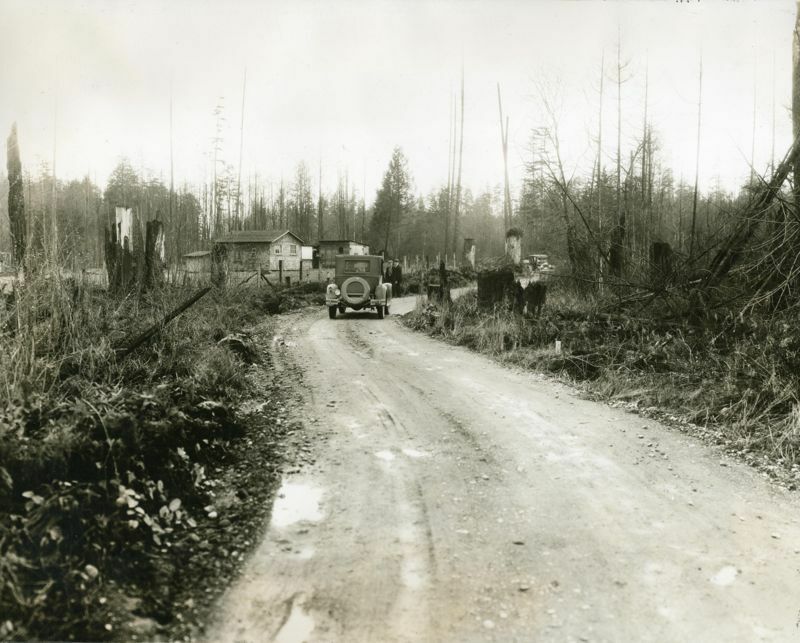 Dirt Highway, 1916, General Subjects Photograph Collection, 1845-2005, Washington State Archives, Digital Archives, http://www.digitalarchives.wa.gov, April 18, 2013. 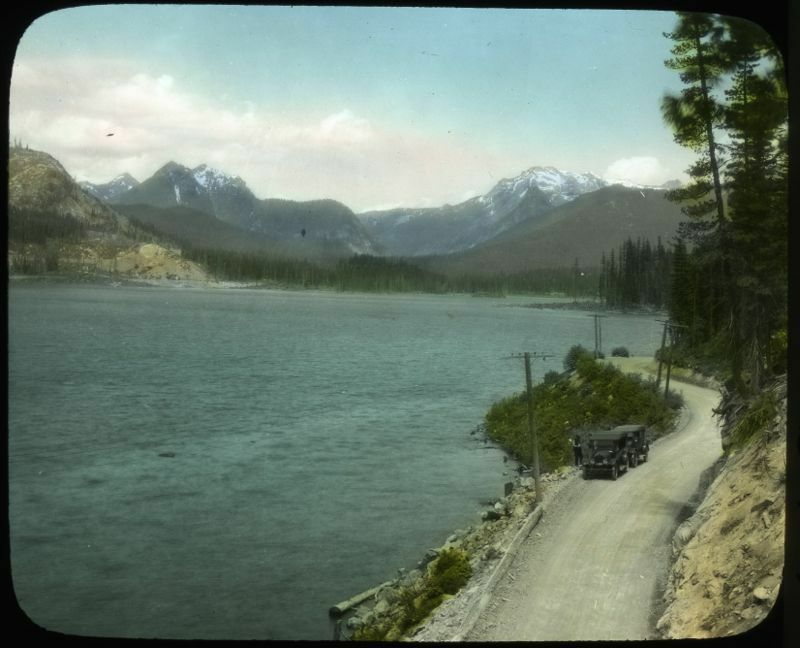 Lake Keechelus and the Sunset Highway, 1920-1930, Curtis, Asahel, Conservation Department, Planning and Development Division, Lantern Slide Shows, 1908-1939, Washington State Archives, Digital Archives, http://www.digitalarchives.wa.gov, April 18, 2013. Rural Washington, 1920-1930, General Subjects Photograph Collection, 1845-2005, Washington State Archives, Digital Archives, http://www.digitalarchives.wa.gov, April 18, 2013. Splawn, A.J. Ka-mi-akin, the last hero of the Yakimas. Portland, Oregon: Kilham Stationary & Printing Co., 1917. 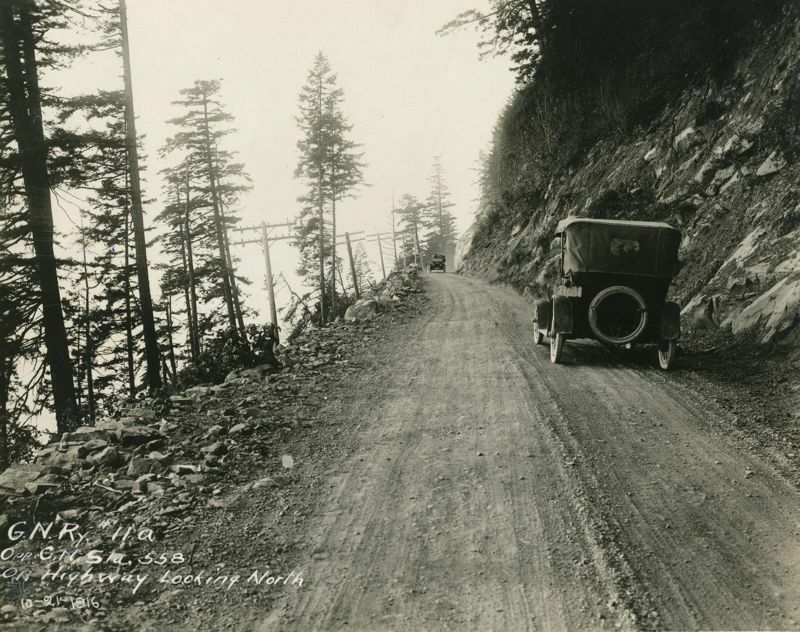 Sunset Highway, Snoqualmie Pass, 1910-1950, Curtis, Asahel, State Library Photograph Collection, 1851-1990, Washington State Archives, Digital Archives, http://www.digitalarchives.wa.gov, April 18, 2013. State highways primary and secondary, 1940, Washington (State). Dept. 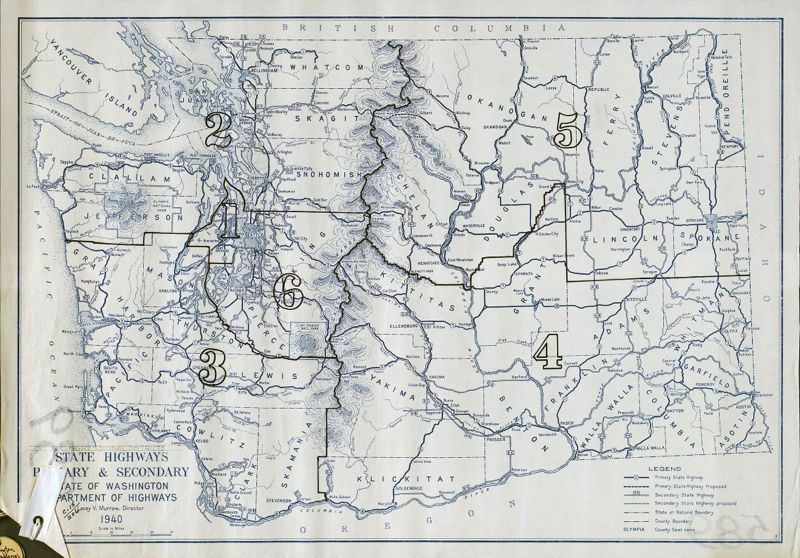 of Highways, General Map Collection, 1851-2005, Washington State Archives, Digital Archives, http://digitalarchives.wa.gov, April 18, 2013. 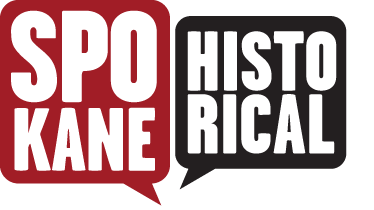 Washington State Historical Society. Washington: A Guide to the Evergreen State. Portland, Oregon: Metropolitan Press, 1941. "Camassia - Wikipedia, the free encyclopedia", n.d. http://en.wikipedia.org/wiki/Camassia (accessed March 27, 2013). "Digging the Camas." The Spokesman-Review. Spokane, WA, April 15, 1913, sec. The Magazine Page. "From Hangman to Plummer." Spokane Daily Chronicle. Spokane, Wash., February 10, 1899. Message from the President of the United States to the Two Houses of Congress at the Commencement o the Second Session of the Thirty-Fifth Congress. Report of the Secretary of War. Washington: James B. Steedman, Printer, 1858.